Meet nature's most extraordinary seabirds close-up on New Zealand's wild Kaikoura coastline. Welcome to our corner of the world, where majestic birds soar and dive over stunning waters beneath endless sky. Discover as many as twelve species of albatross and pelagic birdlife on your Albatross Encounter tour, an unforgettable experience in one of New Zealand’s most breath-taking destinations. A gentle fifteen-minute boat ride out from the Kaikoura coast, and you're in an entirely new world, where you'll discover a large variety of pelagic birds including albatross, shearwaters, petrels, penguins, gannets, skuas, terns and more. It's a feeling of total freedom and wonder. You're on-board a boat designed just for this experience, giving you the best perspectives to watch and take photos. With only 10-12 others on each tour, it's an intimate and special experience that brings you as close to the wildlife as possible. Our staff, on-board identification guides and souvenir information pack will help you learn about what you're seeing - or you can just stand back and let the wonder of nature overwhelm your senses. Within just a small area, you'll meet one of the greatest varieties of seabirds you'd find anywhere along the New Zealand coastline. The list of seabirds sighted off the Kaikoura Coast include five varieties of Great Albatross, up to nine varieties of the smaller Lesser Albatross (sometimes referred to as mollymawks), seven varieties of Shearwaters, fourteen Petrel varieties, and several other varieties of seabirds such as shags, prions, penguins, gulls and terns. “The highlight of our whole trip to New Zealand." 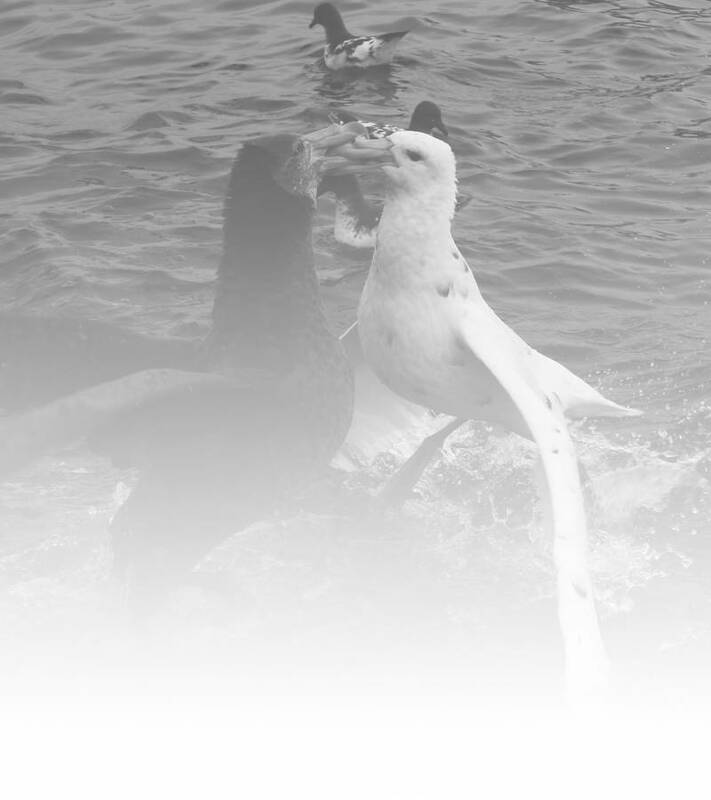 When you encounter Kaikoura seabirds, you will leave transformed. Share the experience. Kaikoura: A wonder of land and sea. 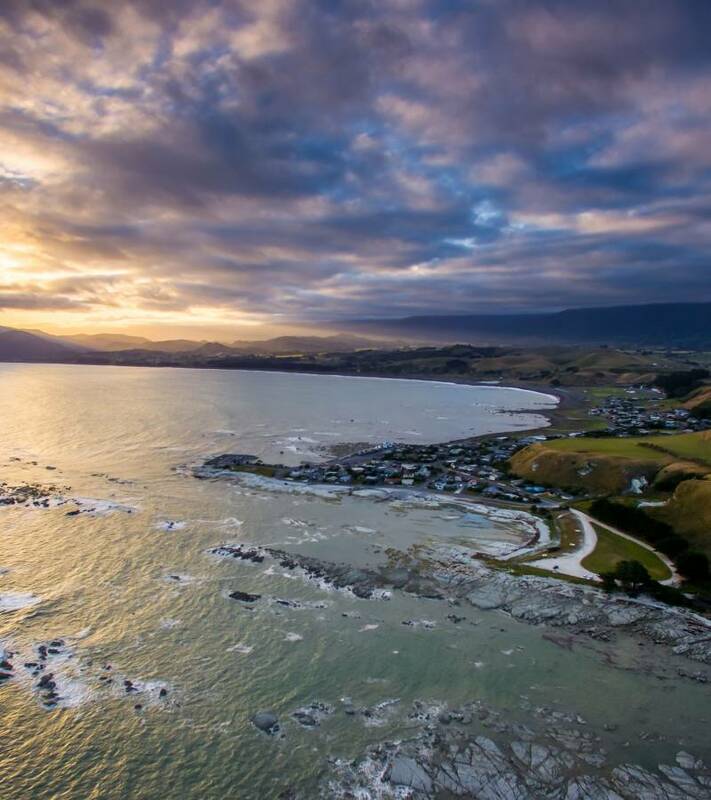 Kaikoura is a place of extraordinary natural beauty and rich history. Emerging from mountains and lush farmland, the Kaikoura Peninsula is a stepping stone to the world’s greatest marine playground. 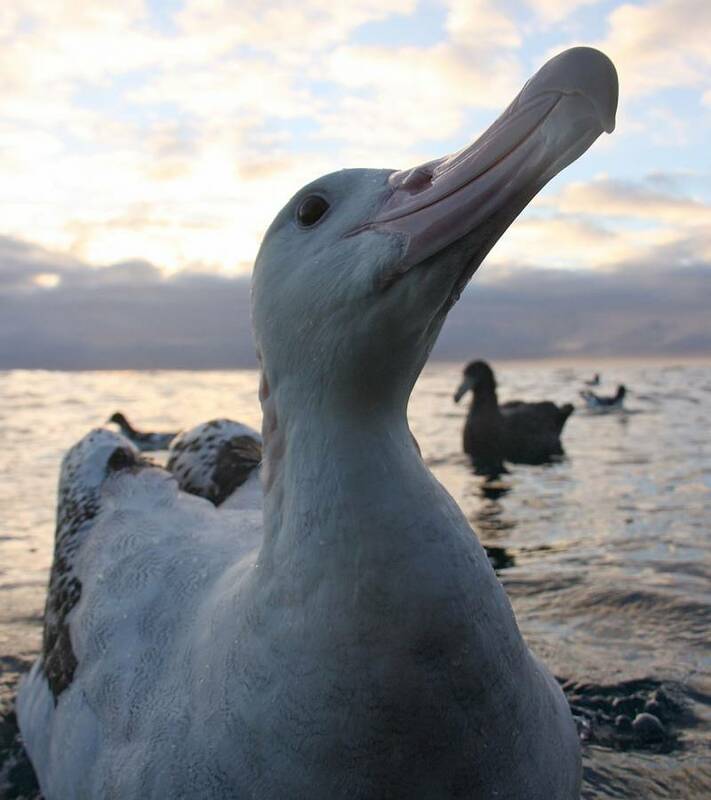 Albatross Conservation: It’s up to all of us. We’re committed to protecting Kaikoura’s albatross, environment and other marine life. Our tours are designed to operate with the least impact possible. When you tour with us, you can be confident the albatross and the environment won’t regret your presence. Albatross, shearwaters, petrels and more. Seabirds come to Kaikoura to dine in the food-rich surroundings. Seems like a good idea to follow their example. In our fully-licensed café, you'll enjoy great locally-sourced coffee and cuisine before or after your albatross tour. Our spacious dining area includes indoor and outdoor areas, so whether you want to soak up the sun or take a little time out, you'll find the spot for you. We're based at our Encounter Kaikoura facility, located right on the beachfront at 96 Esplanade, Kaikoura. It's an easy walk from Kaikoura's central township and accommodation. Kaikoura is Located on the east coast of the South Island of New Zealand, midway between Christchurch and Blenheim.